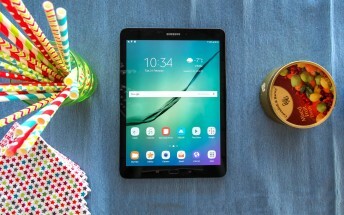 Just yesterday we told you about a Samsung Galaxy Tab S3 deal at B&H - tablet for $499.99 + free book cover keyboard. And today, we bring another Tab S3 deal for you: tablet for $499.99 + $100 promo gift card. Dell is running the promo. Officially, Samsung is also selling the device for $500, so the deal is for those who are interested in a follow up purchase at Dell. Keep in mind that the gift card will arrive 10-15 days after your order is shipped, and it will expire in 90 days. No information on when the promo ends. For more information, head to the Source link below.